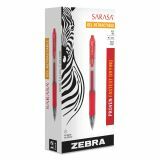 Zebra Sarasa Retractable Gel Pen, Red Ink, Bold, Dozen - Sarasa Gel Retractable Pens contain a smooth-flowing, water-based, pigment gel ink. 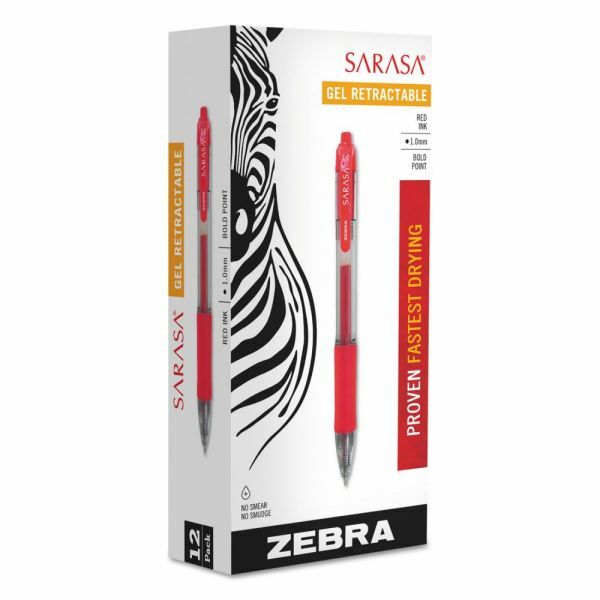 Soft rubber grip provides writing comfort and control. Smooth gel ink allows for scratch-free writing. Translucent barrel provides visible ink color and supply. Ink offers an acid-free, archival quality. Nonrefillable.